If you’re revising for your 2019 Theory Test, you’ll know that learning all the UK road signs is a must for the multiple-choice part of the test. 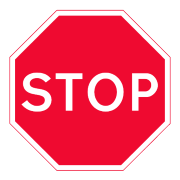 This article will teach you how to understand the road signs system, then you can test your knowledge in our free interactive game! 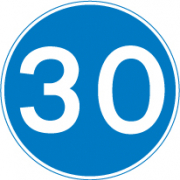 All road users, whether learning or experienced, a car driver, motorcyclist, lorry driver or trainee instructor, have to know what UK road signs mean in order to comply with their instructions, and as new road signs are sometimes introduced, keeping up-to-date is essential. • Circles; which give instructions, like obeying minimum speed limits. 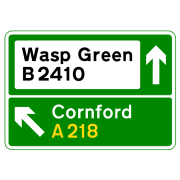 Blue circles usually provide a positive instruction (such as left turn ahead), whereas red signs give 'orders'. • White rectangles are used for direction signs on non-primary routes, or for plates used at the same time as warning and regulatory signs. As with most things in life, there are a couple of exceptions to these general shape and colour rules so that some signs stand out. 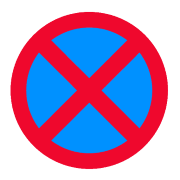 Examples would be the ‘STOP’ and ‘GIVE WAY’ signs, and a no stopping sign that is a blue circle with a red ring and cross through it (to stress the enforcement). Once you can remember these basic rules, you should have a better idea of understanding what a road sign means, even if you’ve never seen it before. We’re revision experts and understand that working your way through all the road signs can be difficult, so we’ve created a driving game that will make the learning process more fun. 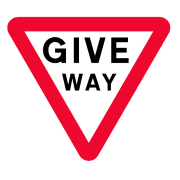 All you need to do to play is to drive along the three-lane road, avoiding all on-coming traffic but collecting the road signs as you go (you have to answer all the questions about the road signs you collect). Test your knowledge by trying out the brand-new fun and highly addictive Road Signs Game now. Let us know what score you get! 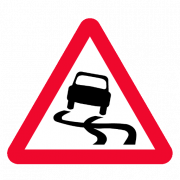 We couldn’t leave this article without mentioning that it isn’t just road or traffic signs that road users should be aware of; there is a whole range of road markings that exist to direct, warn and inform. For instance, at a yellow box junction, the road will have a yellow criss-cross pattern indicating that a vehicle MUST NOT enter the box if the exit is not clear. 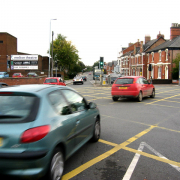 If turning right at the junction, you may enter the box (behind other right turning vehicles, if any) to wait for a gap in the oncoming traffic, but only if the right-turn exit is clear. If you want to revise all road markings and UK road signs, our Teaching You Road Signs e-book has all you need, and because it’s in an e-book format, you’ll have access anytime, anywhere on either a PC, Mac, tablet, smartphone, or on any device with an eBook reader. If you’re revising for the Driving Theory Test and are determined to pass the first time, then using the award-winning Driving Theory Test 4 in 1 App is a perfect solution; it even contains the full Highway Code, a quiz, progress monitor and much more!